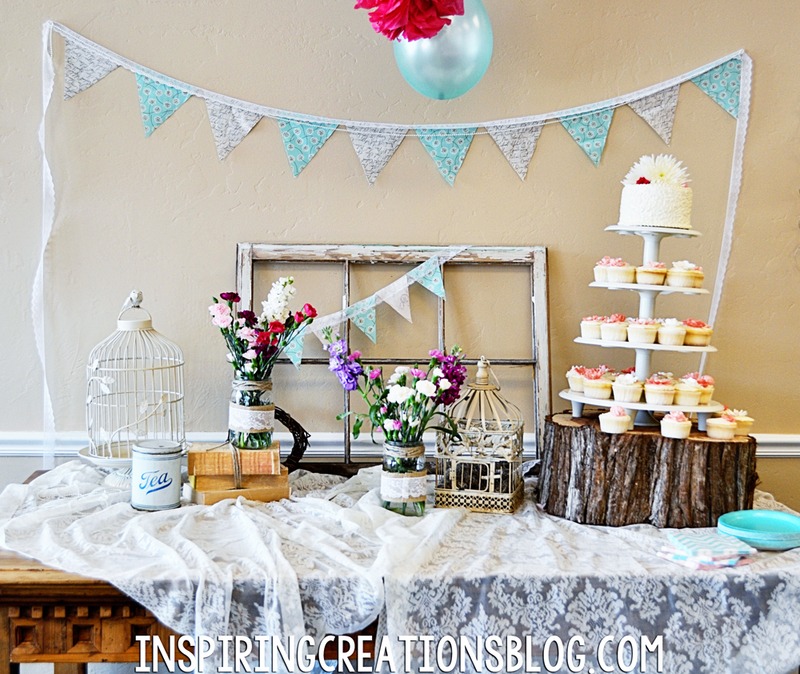 Inspiring Creations: Shabby Chic Birthday Party! I know things have been quiet around here! 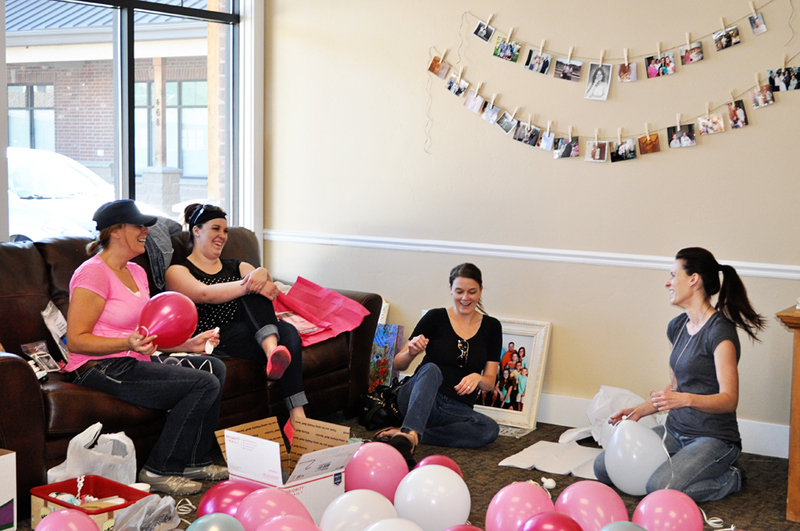 That's mostly because I have been knee deep in party preparations for my mom's 50th surprise birthday party! 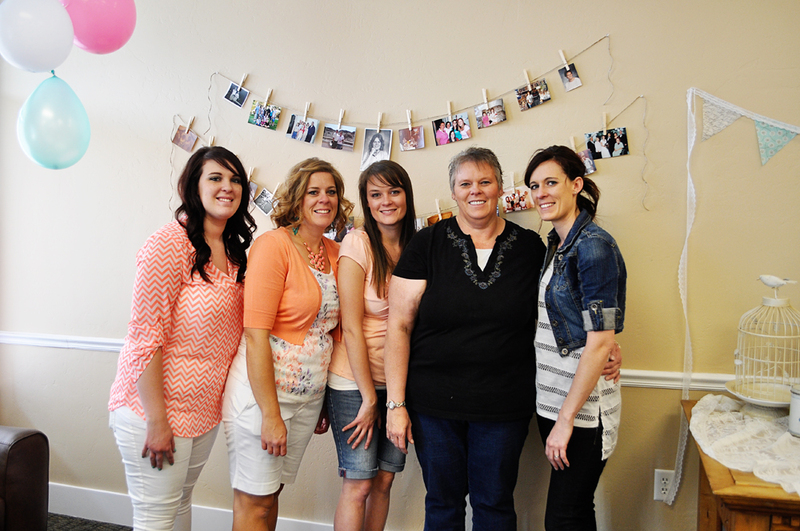 My three sister's and I were able to pull off the surprise of a lifetime for my mom! It was really special, and my mom has never been so surprised in her life! 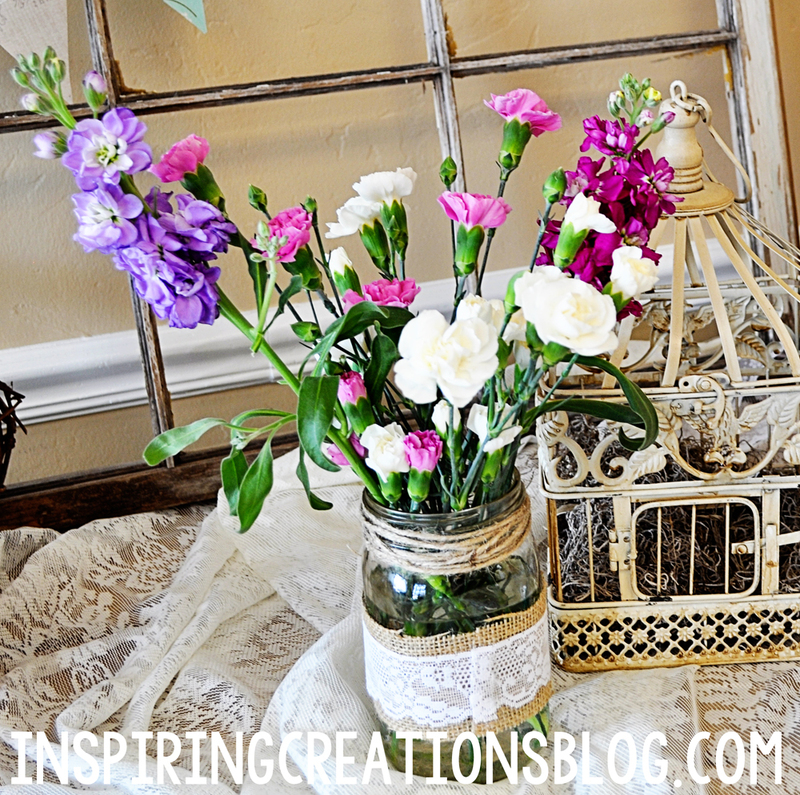 I made these mason jars with burlap and lace. 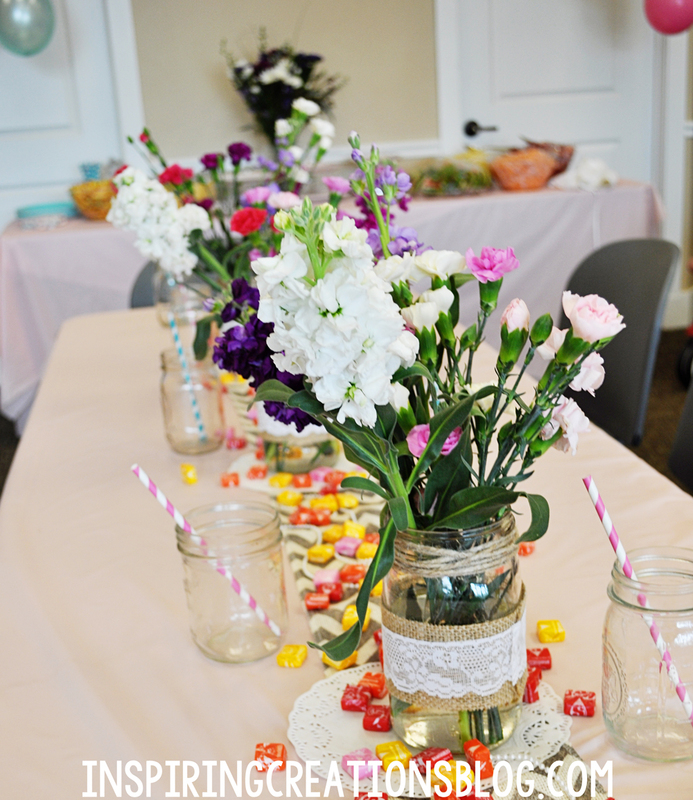 We added some fresh flowers, and twine to finish them off! We had these on every table as centerpieces! Here is the birthday girl and my three sisters! We had these clothesline of pictures scattered throughout the room with pictures of my mom throughout her life! I made this fun lace and fabric bunting to go over the cake table and I also added some smaller bunting to go on the old window frame. 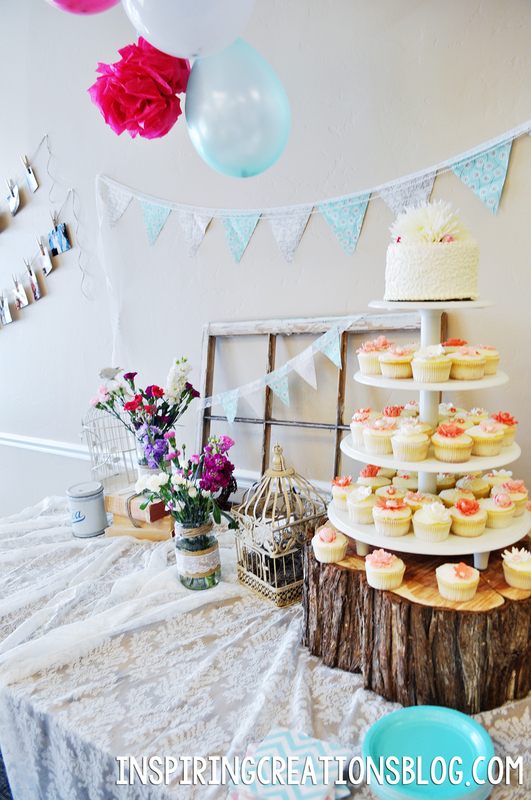 The cake and cupcakes were made by Angela from Creative Cakes by Angela! 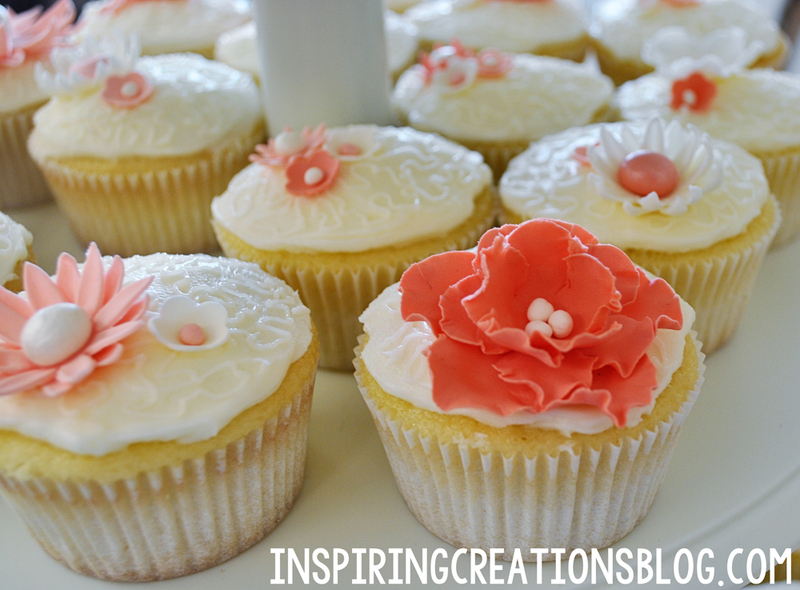 All of the cupcakes had these darling edible flowers on them! They were gorgeous! 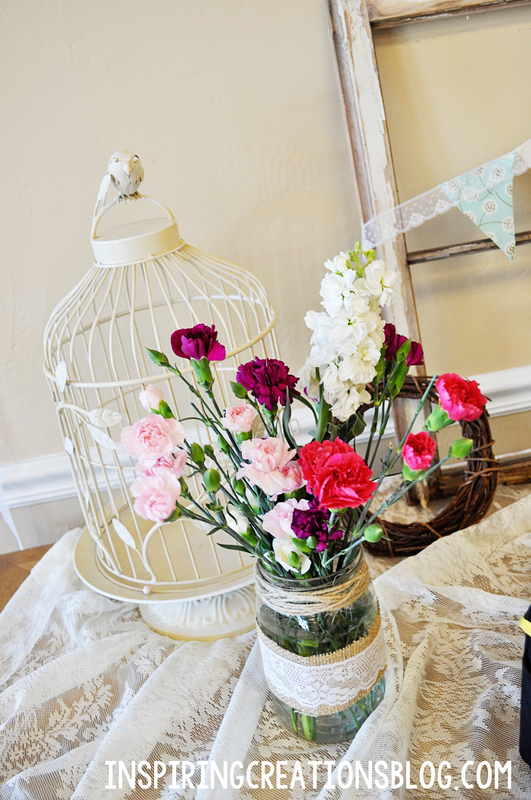 We added some fun bird cages to the focus table as well as some old books and lace tablecloths to carry the shabby chic theme throughout! My sister's and I did all the food ourselves. We served fresh fruit, pasta salad, mini sandwiches, chips and fruit and veggie cups! 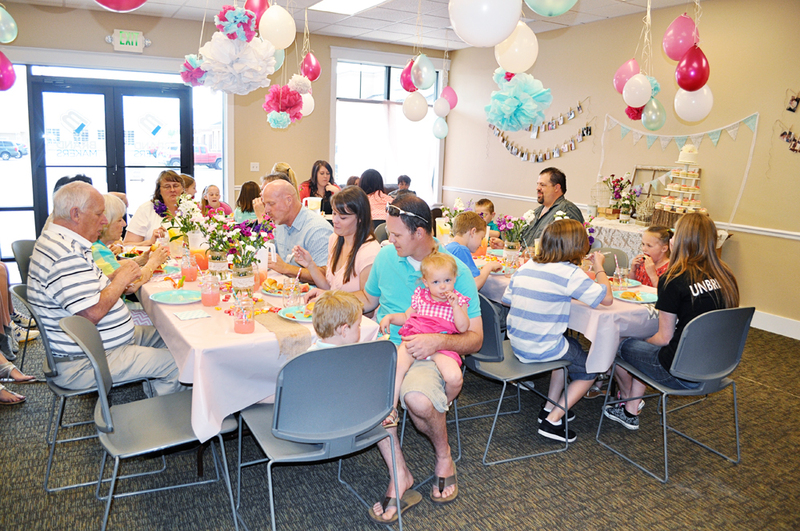 The party turned out great, and we couldn't be more pleased with all the support of all who came! Especially since everyone was able to keep this a surprise! It was my birthday this weekend! 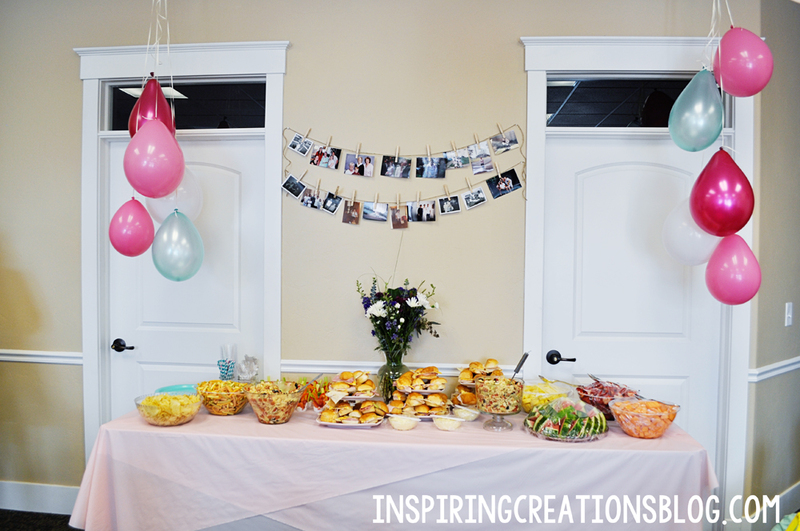 This looks like the cutest party! I love the decorations! Beautiful cupcakes! I hope my children will do this in 6 years. Celebrating a mother is the best! Lovely part ideas. Your Mom is blessed to have you girls do something so nice ! Everything looked beautiful Lindsey !